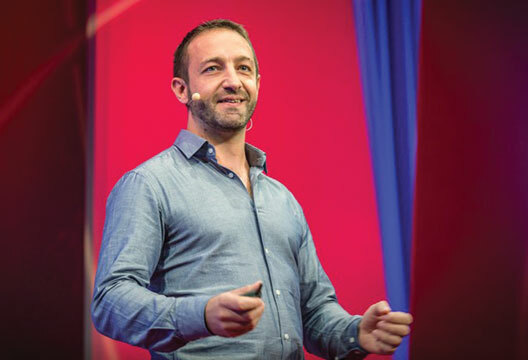 Daniele Quercia paints a familiar picture in his TED talk, Happy Maps. So many of us take the same route to work every day, possibly using maps on our smartphones, without really stopping to think whether a better route exists, a more beautiful route, even a happier route. Quercia points out that with his background as a scientist and engineer his focus has so often been on finding efficiency just as mapping apps give us one simple, short route to our destination. To create these maps Quercia created a crowdsourcing platform game and presented thousands of online participants with two contrasting urban scenes and asked them to choose which one was more quiet, beautiful or happy. Quercia later started working for Yahoo Labs and speaks about the development of these Happy Maps, with the potential to create a mapping tool that would return the most enjoyable routes based not only on aesthetics but also based on smell, sound, and memories.